The weather right now is so changeable – warm one minute, cool the next, and then a thunderstorm, hail, snow, or a couple tornadoes just to keep things interesting… all in a weekend. And that’s what inspired the Weekend Weather Afghan! 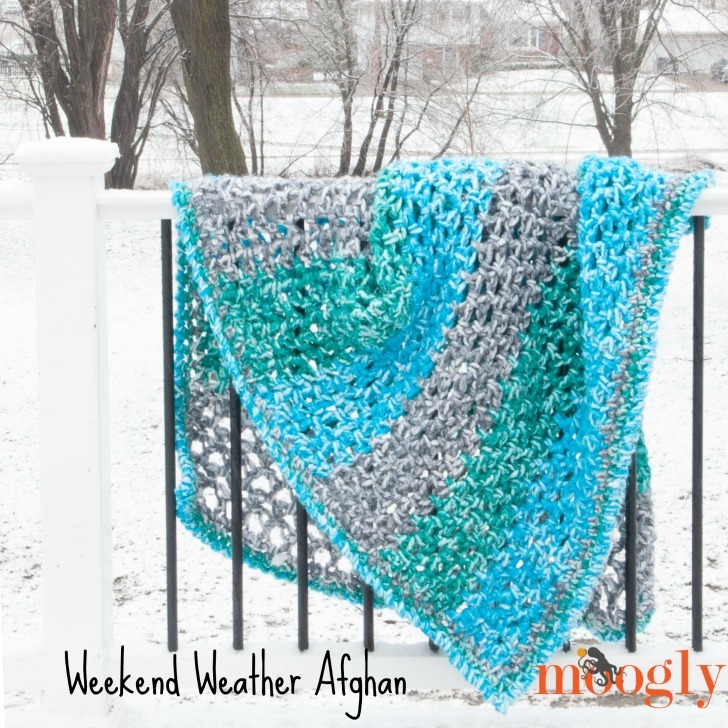 Changing from gray, to green, to bright sunny blue, the Weekend Weather Afghan reflects the ever changing skies of Spring – and you can make it in just one weekend! 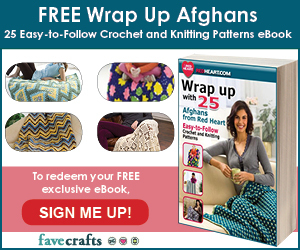 This is the fastest afghan I’ve ever made, and it’s stretchy, soft and cozy – and I already have two kids fighting over it. Good thing it’s so fast! Yarn over and insert hook in indicated stitch, yo and pull up a loop, then pull this loop through the next loop on the hook (2 loops remain on hook), yo and pull through the last 2 loops on the hook. Insert hook in indicated stitch, yo and pull up a loop, with 2 loops on hook spin hook 1 complete turn (counterclockwise if right handed, clockwise if left handed), yo and pull through both loops. Row 4 and 5: Repeat Rows 2 and 3. Row 6: Repeat Row 2, break yarn and finish off. Row 7: With Color B, join to 1st st and Repeat Row 3. Row 8 – 11: Repeat Rows 2 and 3. Row 12: Repeat Row 2, break yarn and finish off. Row 13 – 18: With Color C, repeat Rows 7 – 12. Row 19 – 54: Cycling through Colors A, B, and C, repeat Rows 7 – 12 six times. At the end of Row 54, there will be 3 stripes of each color. Round 1: With Color A, join to any stitch of the blanket, ch 1, sc evenly around, working (sc, ch 2, sc) in each corner; break yarn and finish off. Round 2: With Color B, join to any stitch of the blanket, ch 1, sc in each st around, working (sc, ch 2, sc) in each corner ch-2 sp; break yarn and finish off. 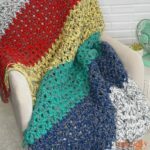 Round 3: With Color C, join to any stitch of the blanket, ch 1, twisted sc in each st around, working (twisted sc, ch 2, twisted sc) in each corner ch-2 sp; break yarn and finish off. And that’s a blanket! 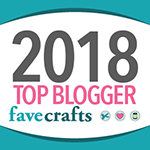 I made it in a weekend, and that’s including design time, so I know you can too! 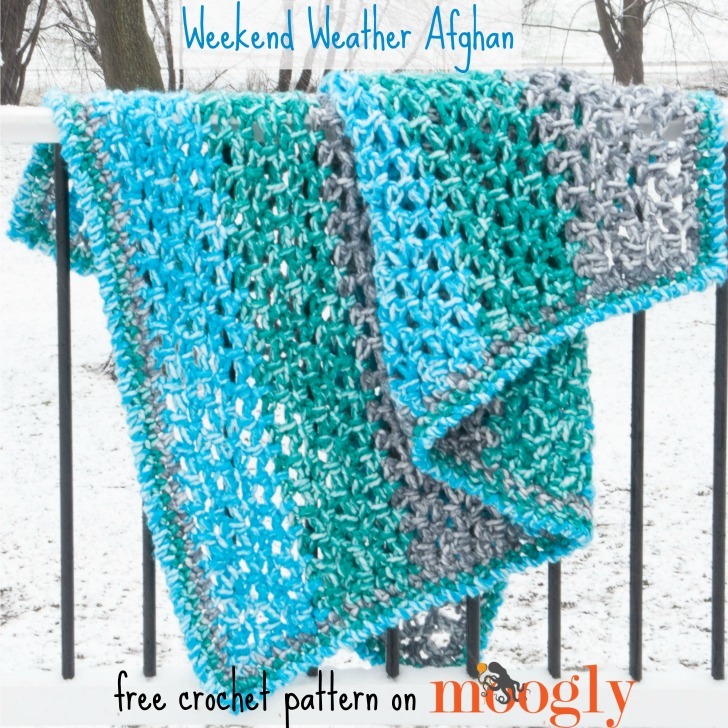 The Weekend Weather Afghan is perfect for a quick gift with big impact, a great pattern to zone out with, and a cozy blanket to cuddle up with. 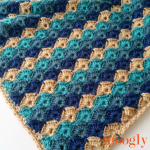 I hope you enjoy this free speed crochet blanket pattern! Written pattern copyright Tamara Kelly 2016, all rights reserved. 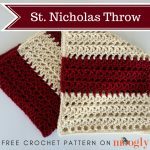 Please do not reprint or repost this pattern, but please do link to this page to share this pattern with others. To print this pattern for personal use, please use the green Print Friendly button at the bottom of the pattern. If you are on mobile, either switch to browser mode, or go to Print Friendly.com and paste in the URL of this post. If you wish to make items for sale from this pattern, or translate it to another language, please visit the About page for details. 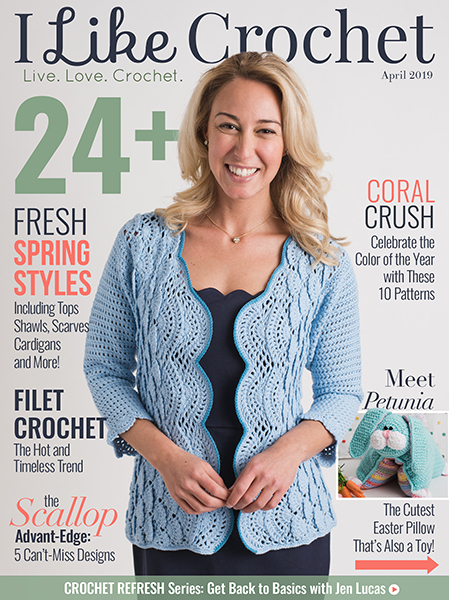 Thank you to Lion Brand Yarn for providing the yarn for this pattern! Love it! 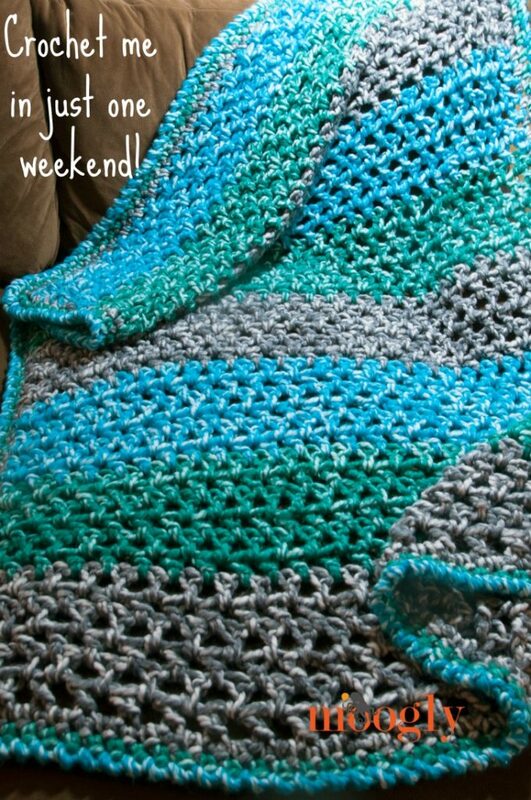 Going to make this for my son I have been promising him I will make him a blanket. It is beautiful, but terribly expensive to make. 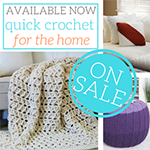 I checked the Lion Brand website and this yarn is $8.49 (MSRP) for each skein! For 16 skeins of yarn it would cost over $135.00, yikes! Try the clearance section of LION BRANDs website.. I get some nice bargains CHEAP. Yes I know! Coupons are usually for one item only. 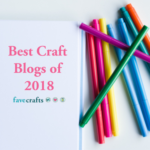 The craft stores here don’t have it: online only. I bought the blue and green but found a blanket type yarn that was comparable in the grey. Tamara, quick question. Row 3, is it suppose to be 1 hhdc shorter than row 2? It looks like I skipped a stitch at the end of the row when I go to start Row 4. I frogged it out and re-did the row but still looks the same because the last stitch is it the last ch-1 sp. Am I missing something? It looks like it needs another hhdc in the last st before I turn and chain 1. I did I just totally mess up? Never mind. See where I went wrong. And now I no I should be sipping wine while crocheting!! Happy Easter! 😀 I’m glad you figured it out. Happy Easter Linda!! I thought the free pattern was the MINI PURSE!!!!!!!!? Hi Pat! Sounds like you ended up on the wrong page – one of the newsletter links were broken perhaps? 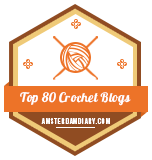 For the most recent pattern, you can always just go to the home page! 🙂 The Mesmerizing Mini Bag is HERE. I’m having problems with the words and symbols for each row.I’m new to this and having problems when it comes to dirctions on how to make the throw blanket.